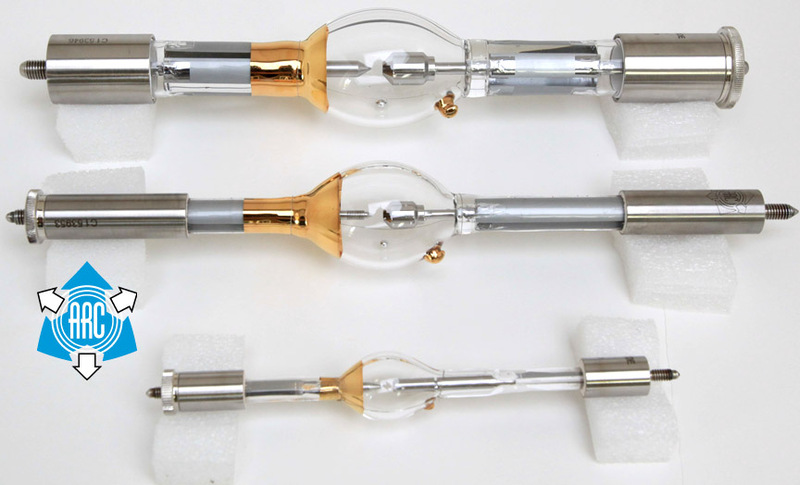 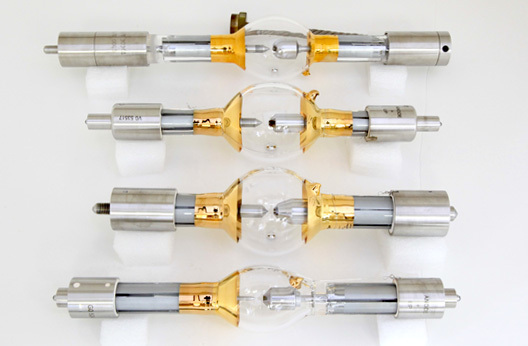 Advanced Radiation Corporation's series of Deep Ultraviolet (DUV) Short Arc Lamps for photolithography represent the state-of-the-art in design, manufacture, and performance of high intensity sources for short wavelength ultraviolet photoresist exposure. 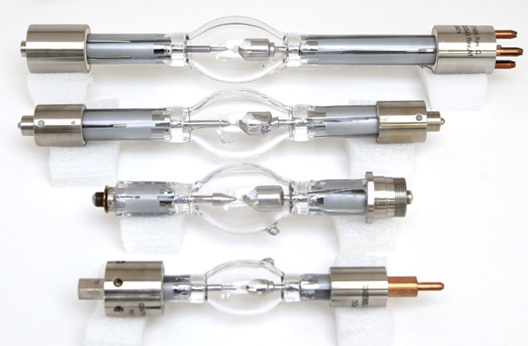 Deep ultraviolet radiation is produced by a mercury-xenon plasma. 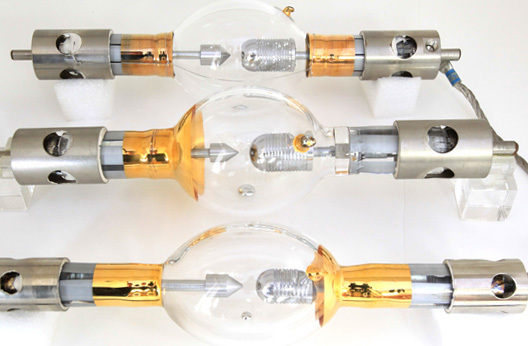 The exact concentration and ratio of the plasma constituents must be carefully controlled during lamp manufacture to obtain the maximum input power to output radiation conversion. 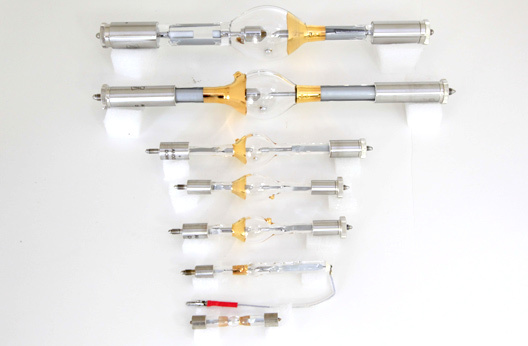 The eight DUV lamps described here represent the results of more than three years of research and development with the leading manufacturers of DUV exposure equipment and systems in the United States. 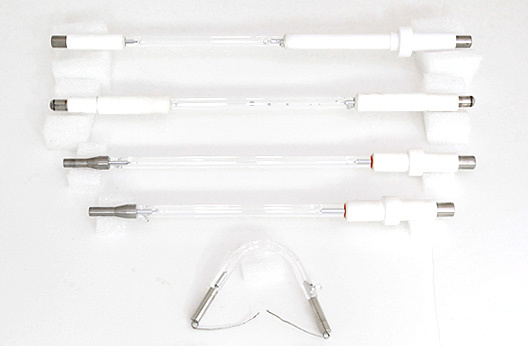 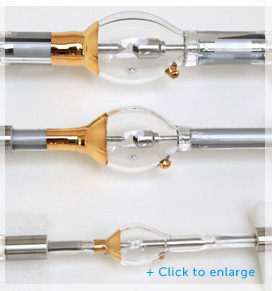 These lamps are ideally suited for several DUV photoresist formulations. 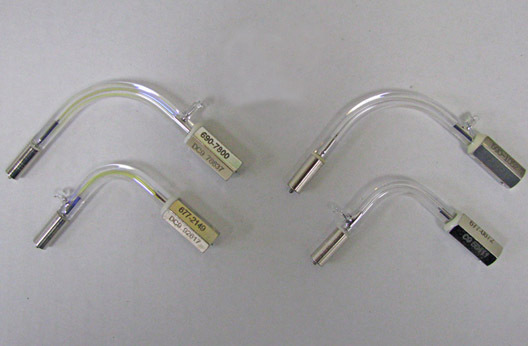 PMMA is sensitive from 210 to 260 nm; from 200 to 330nm; the AZ2400 Series, from 240 to 310nm; while the ODVR Series is sensitive from 200 to 315 nm.